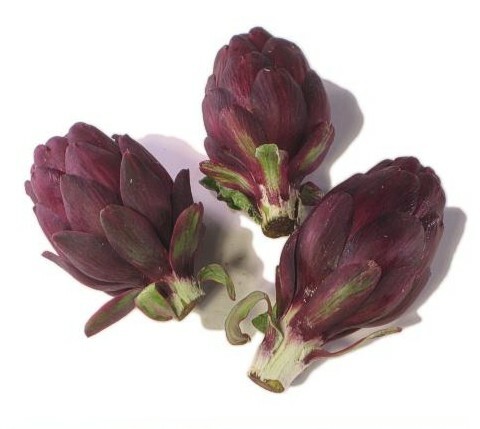 General Information: Artichokes are actually a flower bud - if allowed to flower, blossoms measure up to seven inches in diameter and are a violet-blue color. Artichokes are a close relative to the thistle. The baby artichoke is usually small enough to fit in the palm of your hand. If cooked thoroughly, the entire artichoke is edible. Steam or saute thoroughly and serve with your choice of "dippings." High in potassium, vitamins A and C.